Oats Ragi Balls is also known as Oats Kezhvaragu Kali, Ragi Muddha, Kezhvaragu Koozh or Sankatti. In this post I want to talk to you about Ragi (Finger Millet). As a family, we love to have this ragi kali (Sankatti in Telugu, Kali in Tamil, Ragi Mudde in Kannada) in our meal since its very healthy for both elders and children as well. Those days it was consumed by farmers and workers as it kept them strong and full for quiet a long time. It was in a way their staple food. Ragi comes under the millet family and is equally rich in fibre, protein, minerals, controls diabetes & bad cholesterol. One more secret is that it keeps you young, since its phenolic content and antioxidants are important factors for preventing aging. 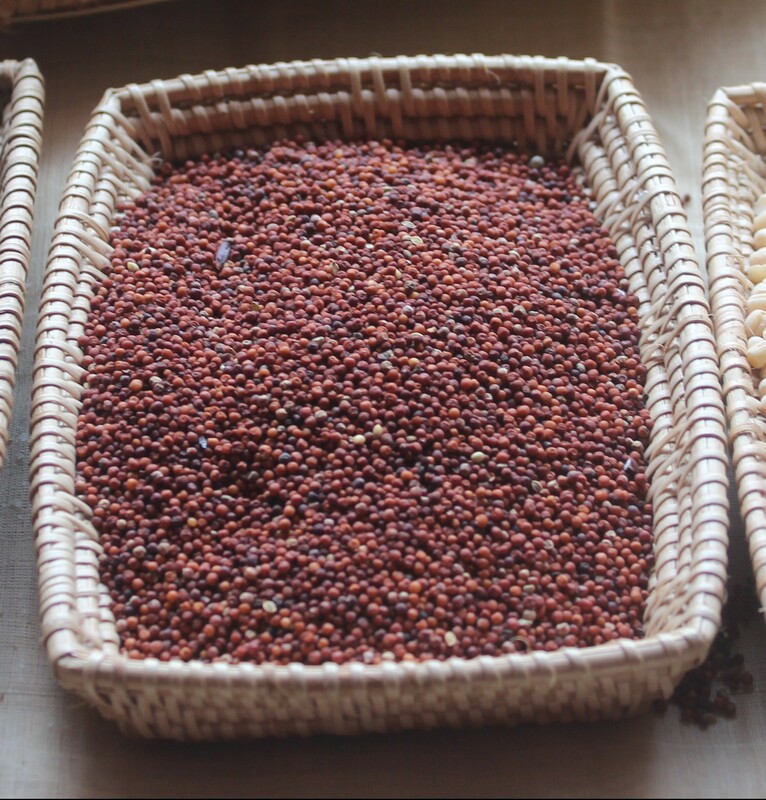 Finger millet and kodo millet share the same features. You could also make this dish with broken rice or Noi Arisi. Here, in this recipe, I've replaced broken rice with Oats and I can assure you that none in your family can even recognize this clever but healthy replacement. Add water and salt in heavy bottom vessel. Put the vessel on the stove for boiling. Add Oats to boiling water, put to medium flame and cook for 3 minutes. After that add ragi flour and oil, put the flame to simmer and close the vessel with lid half opened for further cooking up to 7 minutes. Now turn the stove off and remove the vessel. Mix this ragi flour and oats with the back side of a wooden stick (curd churning stick) very fast with out forming any lumps. Again close the lid and keep aside for 10-15 minutes. Take water in a small bowl, wet your hands and now start making orange sized balls from the dough. While making balls, the dough should not stick to your hands that is how you check for the correct consistency and ensure that it is well cooked. Keeping aside for 10-15 minutes after stirring, helps you to make balls with moderate heat. As you cannot make balls immediately when it is piping hot. Preserve one ball for next day morning. By adding butter milk and salt to this balls and make a porridge (Kanji) out of it. This kanji will be healthy and full of energy. For taste, include with slices of lemon pickle / raw pearl onion, green chilli / gongura chutney or with dried and marinated curd chillies. Ragi Mudde with oats is a Deadly combination and it is double healthy to us. i never tried it. Want to try it this weekend.